I’ve had a busy sewing November so far this month. Hubs and I planned to visit the Houston Quilt Festival and we made the trip from our coastal home in Port O’Connor, Texas to Houston. We ran into Angela Wolf from It’s So Easy on PBS. I read on Facebook that you should take along a backpack to tote all your goodies so of course, I had to make one. I loved the Urban Elementz booth. The owner lives in New Braunfels, Texas which is near our home so I like to support our local artists. I picked up the cute giraffe measuring quilt kit. Love those shades! How cute is THIS? Adorbs! I made up some mug rugs for my local quilt shop, Scrappy Quilter, that come from Kimberbell’s Holiday and Seasonal Mug Rugs, Vol 1. Jo put them display! Here’s the cardinal. And here are the gingerbread, pumpkin, and spider. So cute! Here’s the embroidery display area in the store. They are moving next month to a new place across the street and Jo wants to expand the embroidery offerings and I can’t wait to help her by making more store samples. I’ve got my Christmas Scenes quilt on the longarm. One mission I had at the Quilt Festival was to visit the Quilt Butler computer folks and get some assistance with the nesting feature to make the quilted rows come out evenly. Mission accomplished! The decals on Elvis are also from Urban Elementz. And lastly, a coworker’s wife is expecting a baby girl next week so I made her a nursing cape and a couple of bibs. So that’s what’s been under my needle. What’s been under yours? 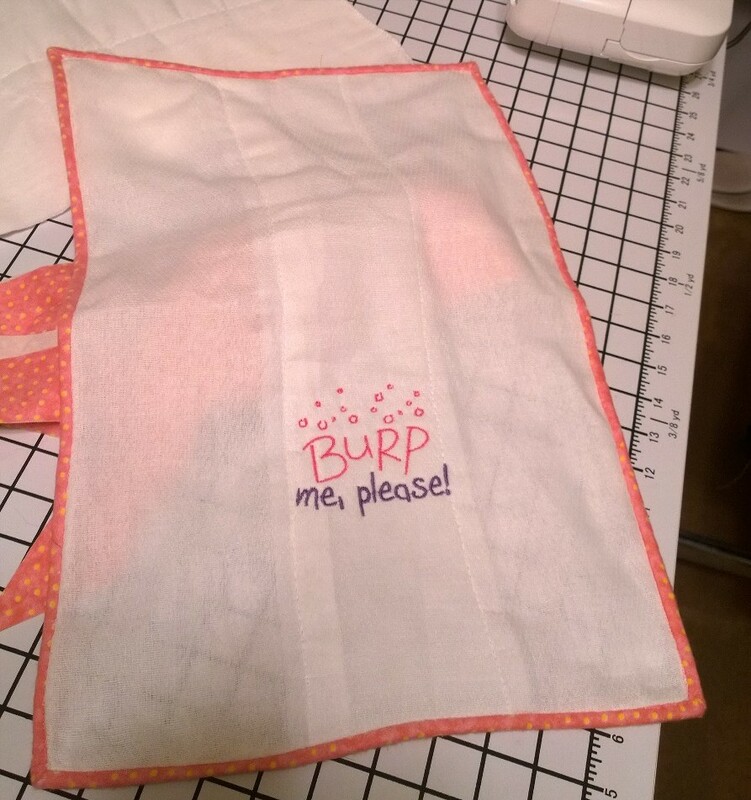 Burp Me Please! An insanely simple baby gift. This is a short post to add to last week’s baby quilt. I always keep cloth baby diapers in my stash. The old kind…like my mom used. They make the most awesome spit up rags for the kiddos. AND – since they are lint-free, dad can use them to wash the car! 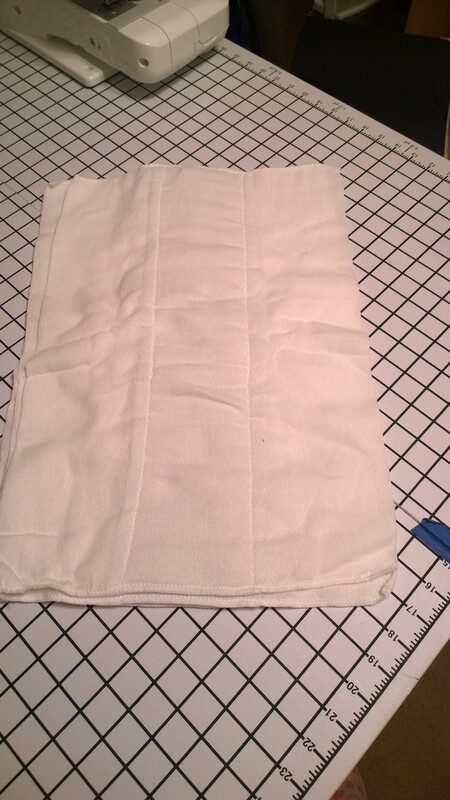 I had some left-over flannel quilt binding that was already made up so I used it to quickly bind up the edges of the diaper. 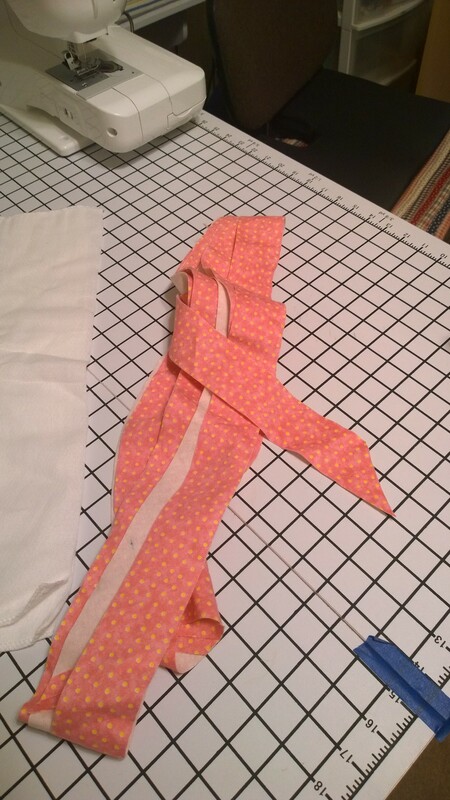 No fancy binding tool needed here, just a tuck and sew over method to finish the closure. 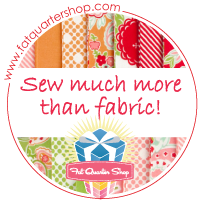 One of my favorite embroidery sites is Embroidery Designs. This file was on sale and it’s already the right size for my 5×7 hoop so no resizing required. It was just two colors of thread and finished in about 5 minutes. I did use medium weight tear-away stabilizer because of the very open weave of the diaper. And in less than 30 minutes, viola’! A cutie homemade baby gift! Now, even if you don’t have an embroidery machine, these bound diapers still make great baby gifts and just may keep them in the house where they belong and not out in the garage. 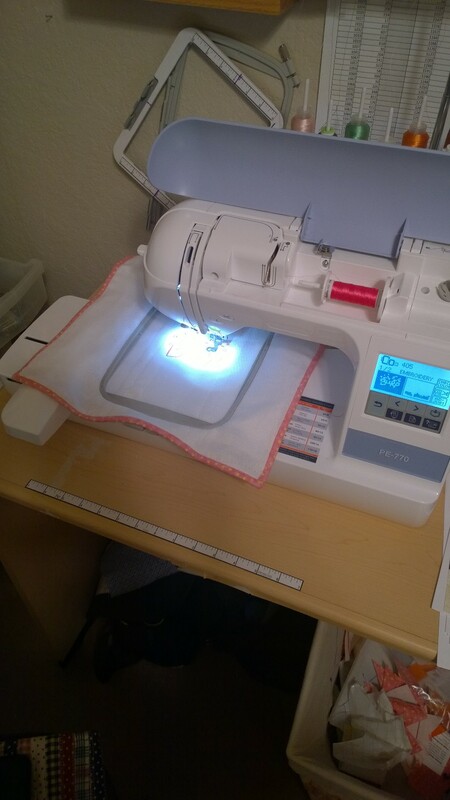 And pssst, it’s just another great idea to support you getting your own embroidery machine right?